‘It’s not what you know; it’s who you know’ is a trope that’s never sat particularly well with me. It puts the focus on competition, gall, and possibly undeserved success. This is far removed from what modern networking is, and should be: a collective endeavour. It’s about building an extended community of professionals that lift each other up, champion and share one another’s successes. In this approach, what you know is just as important as who you know, as long as you’re willing to share your knowledge and connections to empower others too. Networking is still often seen as a way to get something – a prospect lead, a business opportunity, a job. But networking should be about giving. Each of us should use our professional capacity to help other women, which sends a powerful message that we are not the selfish, gossipy stereotypes that the media leads everyone to believe, but that we can and are able to help each other thrive. There’s a unique power in collectively taking our personal and professional success into our own hands, and celebrating who we are and what we offer. When I started out, networking was a gendered activity. It wasn’t until later in my career that it really became a thing for women, and even later until I realised it was a thing that had such power. Partly because of that, men have become much better at supporting each other; it’s been the norm for them in the professional world for much longer. For women, having professional positive role models is really important, especially for women from underrepresented backgrounds. While there’s been much progress, there’s so much more to do. Why is an outspoken black woman still stereotyped as an ‘angry black woman’, when a white man would be considered confident and good at his job? It needs to change, and we need to take it into our own hands to become agents of that change. Take the entertainment industry as an example. It’s an industry that can be lonely and even isolating. When I first joined The Mandy Network this issue really jumped out at me – so many areas of the sector are still dominated by men and people of privilege, especially so in high-profile, executive roles such as directing and producing. As more female writers, producers and directors emerge, the industry needs to experience a pivot in its ideas and expectations; with this must come a more even playing field. Everyone should have access to every opportunity, and to a support system that enables them to thrive. And a community that shares and champions success, is key to accelerating towards a more equitable and inclusive industry. Treat online networking as you would offline interaction. 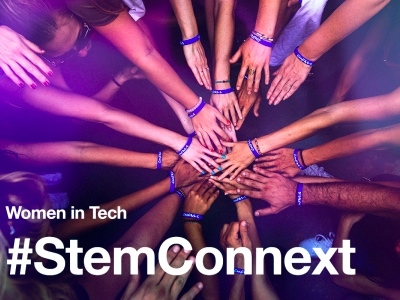 Technology has made networking more accessible to more people in many ways – LinkedIn, social media, blogs – there are infinite ways for us to make connections. However, to truly make use of digital networks, we need to ask questions, have conversations, engage and learn, the same way we would if we were face-to-face with a group of people. Having a LinkedIn profile that you never use or update is like standing in the corner of a room full of your peers with a paper bag over your head. 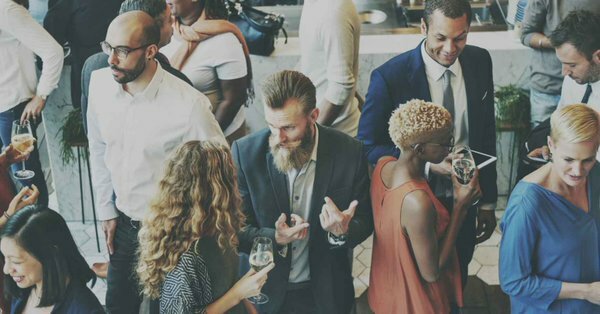 Use your network to show off your personality, your talents; this will help to build out your connections, and subsequently enable you to introduce like-minded people and facilitate new conversations and ideas. Expos, meetups and events are still crucial ways to find and build a community. If you’re an avid networker already, seek out women who are starting out in the business world, in your workplace or personal network, and invite them to meetups and networking events that you regularly attend. Help them to expand their network; these gatherings can be daunting so a helping hand wouldn’t go amiss. If you’re starting out, search out the events that are of interest to you, and go along to observe and soak up the atmosphere. When you’re ready, start putting yourself out there and asking questions; you have nothing to lose in these environments. And if you can’t find a community that fits your passions, then start your own, and seek out others to invite to join that journey. Finally, don’t forget the importance of one-on-one, in person connections. Building a community to support one another starts with the basics. Meet someone for a 20-minute coffee. Reach out to ask for a one-to-one session with a colleague you admire. Find a mentor, or a coach in your profession. Offer to help them out in return. There are plenty of mentoring schemes focused on empowering women to reach their potential, such as WerkIn, and networking organisations like LB Women. Challenge yourself to do one thing to expand your network each week. Whether face-to-face, online, or a mix of both, take the approach that best suits you. Where you’re most comfortable and passionate, you will best thrive, and in turn, help others to thrive. Just don’t sit on your laurels. We have a power and a responsibility to take our success into our own hands. Find a community to support, and one that can support and strengthen you, and take your female peers on that journey alongside you; share what and who you know. That’s real networking. Susie serves as COO of world-leading entertainment recruitment community, The Mandy Network. 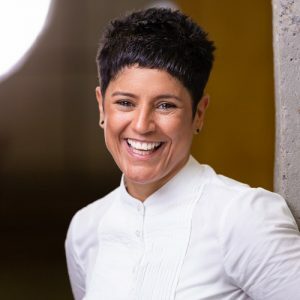 Susie has over twenty years’ experience in media, publishing and entertainment, leading teams at global companies including the Financial Times and Cision. Susie also sits on the board of LGBTQ+ mentoring and networking organisation, LBWomen.